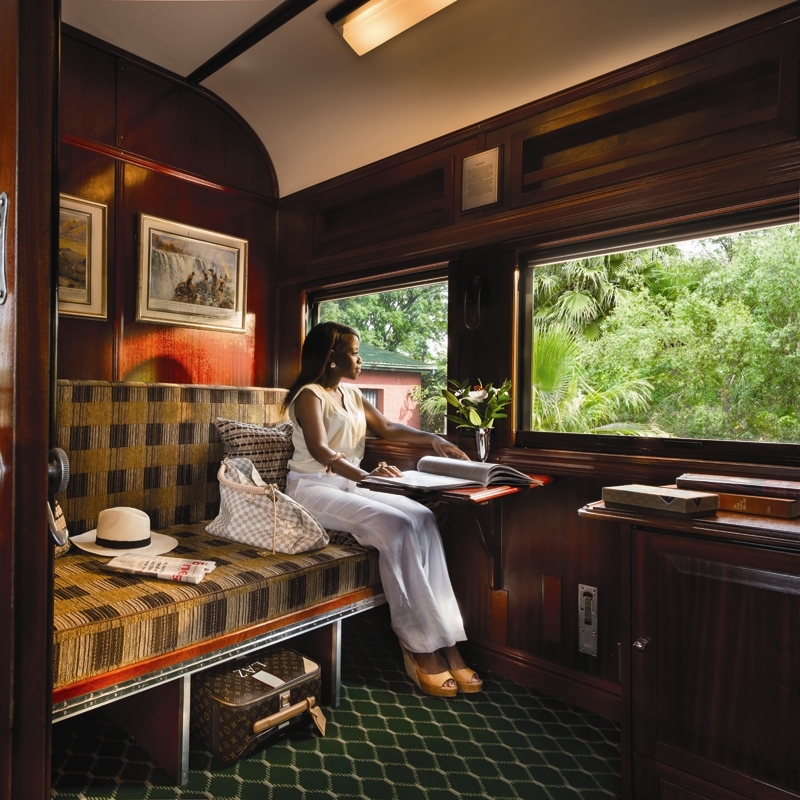 Rovos Rail has designed two* delightful nine-day safaris to entertain the most discerning player with optional excursions for non-playing guests at all venues. 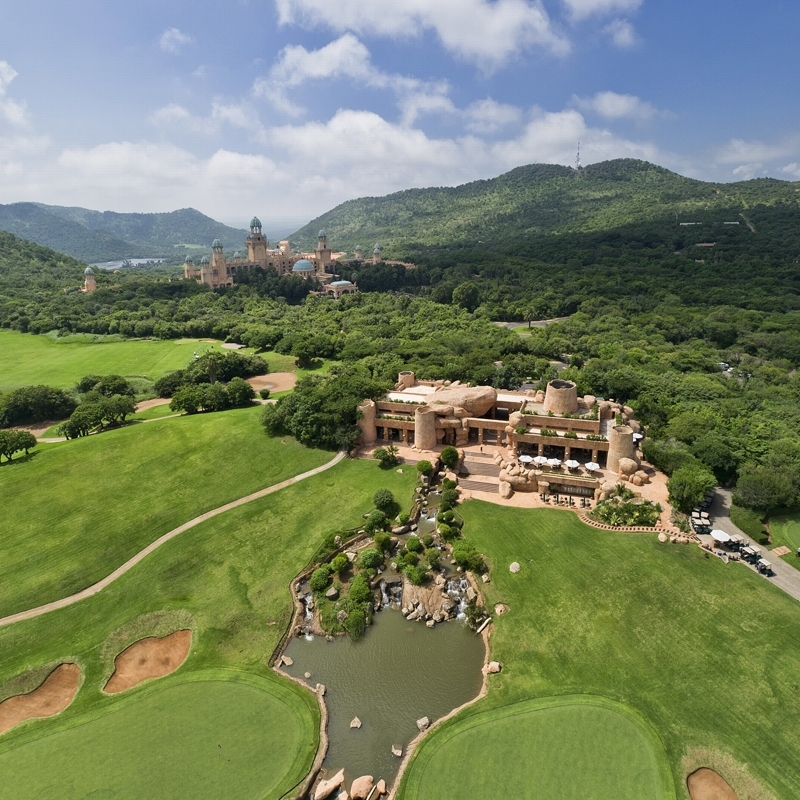 The Golf Safari begins in Pretoria and travels west to Sun City in the hills of the Pilanesberg for a day at this renowned facility including a game drive for non-golfers. 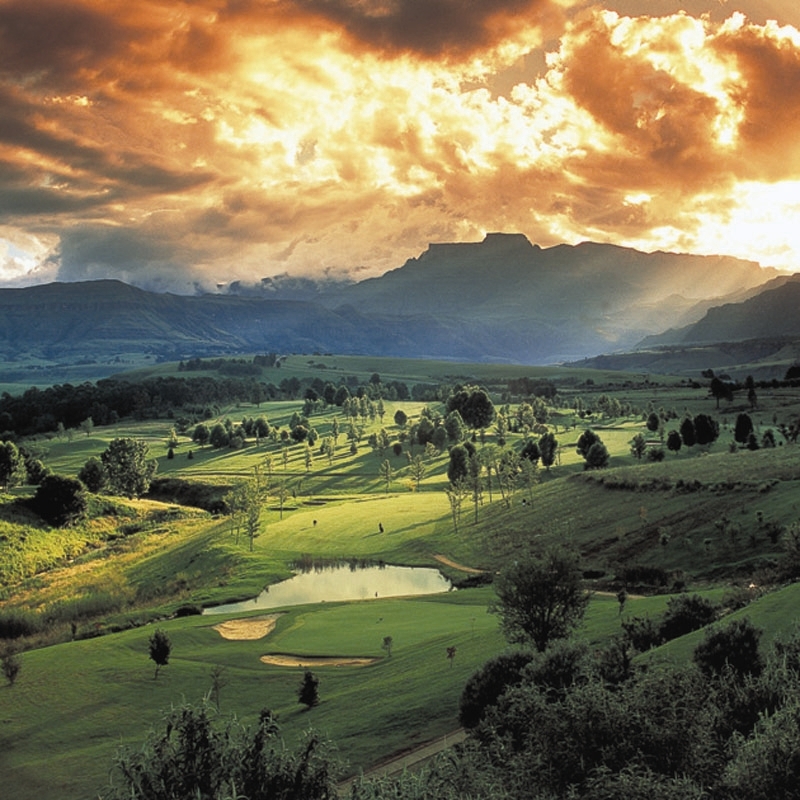 In the foothills of the imposing Drakensberg Mountains, 18 holes await at the Champagne Sports Resort with a guided tour of the battlefields a further highlight for nongolfers. 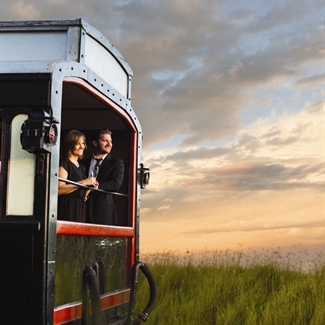 Enjoy a game at Durban Country Club or tour the city. 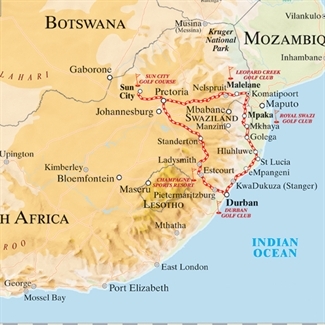 Then it’s on to Zululand for game viewing at Hluhluwe before heading to Swaziland. 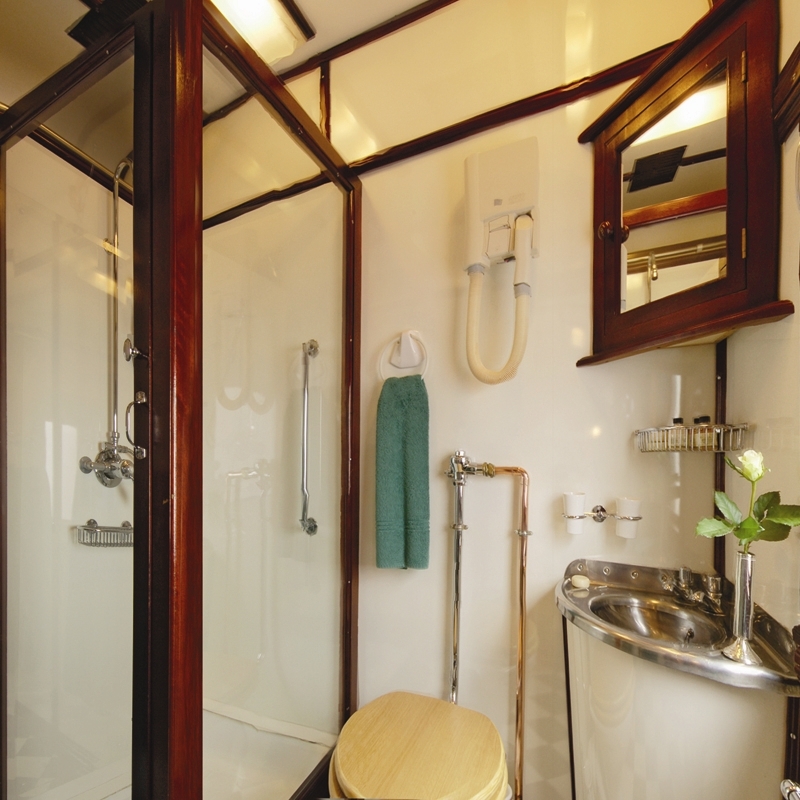 Tee off at Royal Swazi or enjoy a game drive at Mkhaya and a visit to Ngwenya Glass and Guava Gallery. 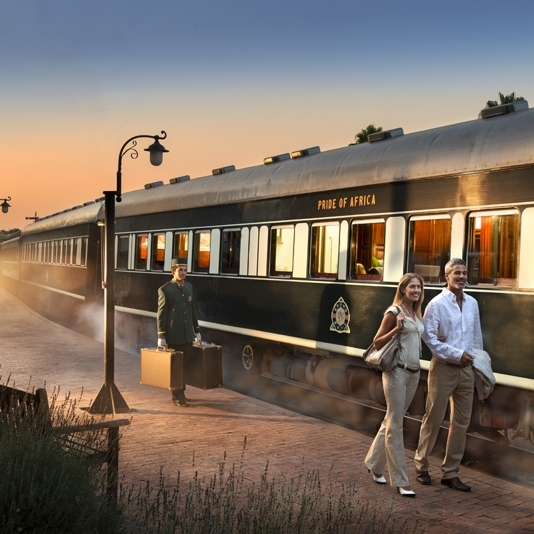 Golfers then play the challenging Leopard Creek course while non-golfers enjoy a game drive in the world-famous Kruger Park, after which this memorable journey ends in Pretoria. 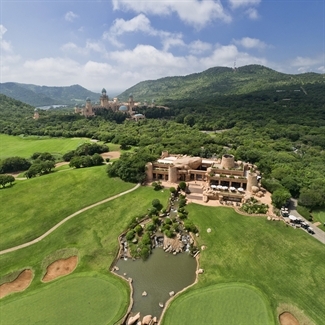 *See African Golf Collage: courses include Leopard Creek at Kruger Park, Durban Country Club, Humewood in Port Elizabeth and Fancourt Estate and Ernie Els Oubaai in George. 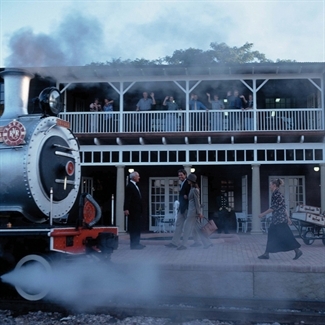 10h00 - Depart Rovos Rail Station in Pretoria and travel to Koster for overnight stop. Day at leisure on train. 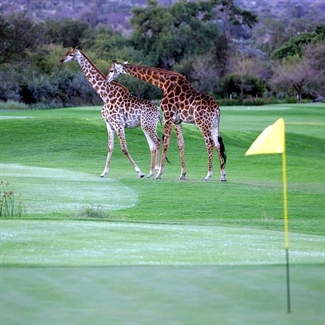 09h00 - Tee off at Lost City OR Gary Player Country Club at Sun City followed by lunch at the club. Dinner and overnight on the train en route to Heidelberg. 07h00 - Game drive in Pilanesberg Game Reserve. 19h30 - Explore the Lost City followed by lunch at the club. 07h00 - Day at leisure on board while travelling to Estcourt. 09h00 - Battlefields tour with lunch at Spionkop Lodge and shopping OR enjoy a walk at Champagne Resort. 09h00 - Durban city tour followed by lunch with the golfers at Durban Club. Depart for Hluhluwe. 06h00 - Game drive in the Hluhluwe Game Reserve. 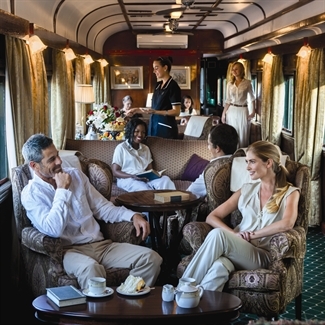 11h00 - Brunch as the train departs for Mpaka, Swaziland. 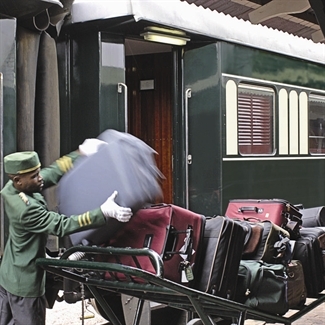 07h00 - Transfer to the Royal Swazi Sun for tee off and lunch. 08h00 - game drive in Mkhaya Reserve. Visit Ngwenya Glass with lunch at Guava Gallery and shopping. 08h00 - Tee off at Leopard Creek with lunch at the clubhouse. 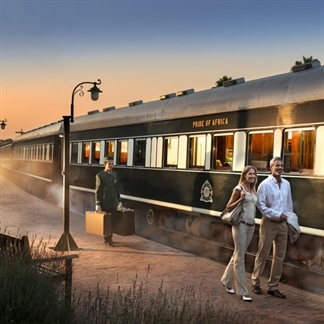 08h00 - Kruger Park game drive with lunch at Buhala Lodge and shopping. 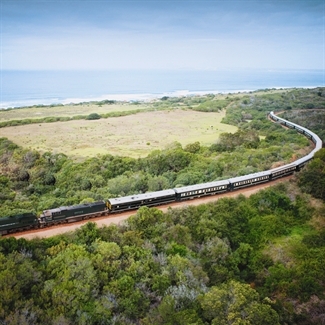 The train travels towards Pretoria. 07h00 - Enjoy breakfast as the train departs for Pretoria. 10h00 - Arrive at journey’s end at Rovos Rail Station. 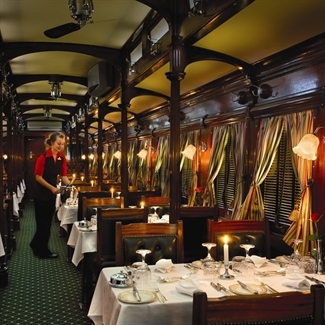 MEALS ON THE TRAIN (unless adjusted) Breakfast 07h00-10h00 • Lunch 13h00 • Tea 16h30 • Dinner 19h30. This ultra-exclusive world-class facility is the brainchild of magnate Johan Rupert and, as can be expected, no expensewas spared. 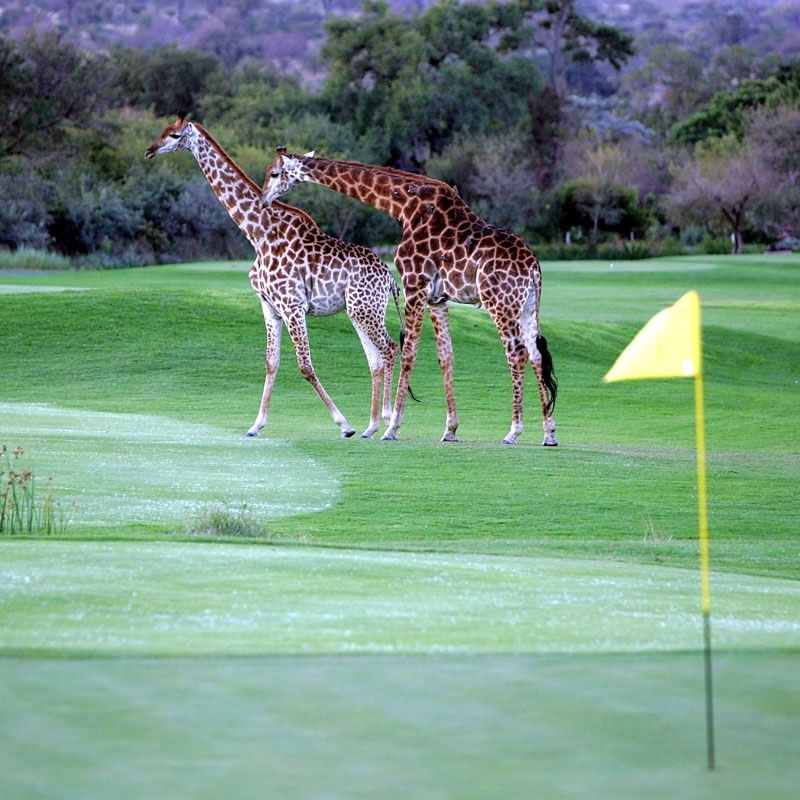 Bordered to the north and the west by the picturesque Crocodile River and the Kruger National Park, the course represents African golf at its best with indigenous bushveld bordering the immaculate fairways and greens. Innovative architectural and landscaping techniques ensure the course is naturally protected from animals, while lakes and small streams divert through the development to create scenic vistas and interesting golf strategies. Hazards take a new dimension for much of the water is home to the magnificent creatures for which the river is named…crocodiles. 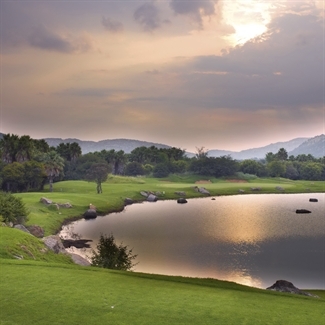 Signature hole: 13th - par 5 - 505m Here the green is right on the edge of the Crocodile River but 32 metres abovethe water level offering magnificent views up the river and into the Kruger Park. 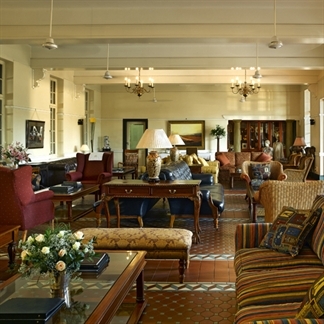 the Indian Ocean, the Club has been the venue of choice for many an important celebration in its rich history. Signature Hole: 3rd - par 5 - 468m A tee shot from the highest point on the course into a valley below, completely exposing the drive to the ocean gusts. Trees on the right of the straightaway hole need to be avoided as well as the large fairway bunker on the landing area to the left. gullies thick with vegetation, out-of-bound areas running close to fairways, swirling breezes, clusters of magnificent trees and indigenous plants and wickedly sited bunkers – one is so steep it requires steps to facilitate access. Signature hole: 6th - par 3 - 163m A wayward shot to the right is out of bounds, while one to the left is a lost ball. contours of a valley that nestles under the dominant peaks of Champagne and Cathkin Peaks and incorporates several holes with blind tee shots. Professional and novice alike will appreciate the 84 well-appointed bunkers that line the fairways and greens. The quality of the greens is accredited to Trevor Livesey whose passion remains unabated. Though the drama of the mighty mountains dominates the eye, the course also enjoys gentle vistas where the lower hills create a kaleidoscope of colour blessed with trees, rivers and dams to add even more of a challenge. make-up. Here, the golfer can choose to tackle the course from its championship tees (suggested only for the longer hitting, single-figure handicappers), the standard markers or forward tees. Even playing the shortest route presents a great test as the approaches to the greens – clad in bent grass and protected by bunkers – demand careful judgment. Signature hole: 13th - par 3 A green in the shape of Africa bordered by a pond, home to several large crocodiles! - Please ensure you have filled out the Reservation Form to indicate if you have any medical conditions, physical disabilities or allergies. There is a basic First Aid Kit on board. We have a doctor on board on the Dar es Salaam trip. - Anti-malarial precautions are recommended. 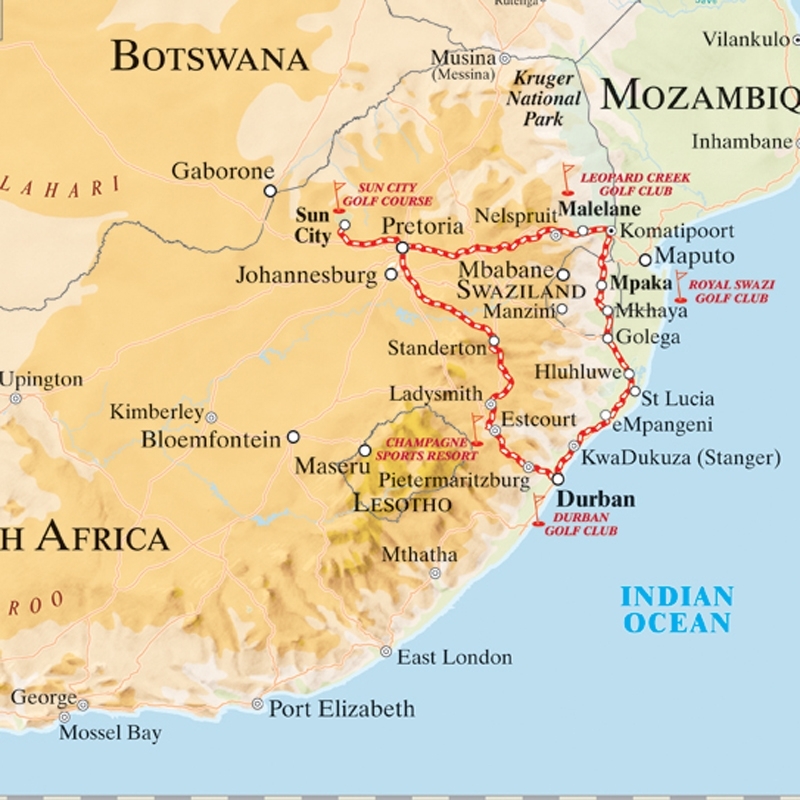 Malaria areas: Swaziland, Kruger Park, Northern Botswana, Zimbabwe, Zambia and Tanzania. Recommended immunisations (not required): Hepatitis A, Polio, Tetanus, Cholera (low risk). - A Yellow Fever/Medical Exemption Certificate is essential if travelling to/from Zambia and Tanzania. 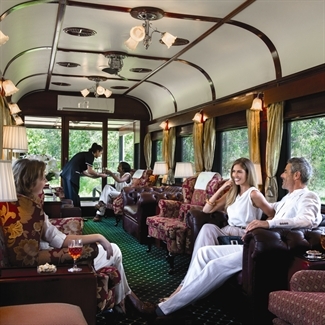 Although all countries travelled through don’t require this, countries guests return to after the trip often require them. - Please consult your clinic or doctor. TRAVEL DOCTOR AFRICA local 0861 300 911 or international +27 11 214 9030. 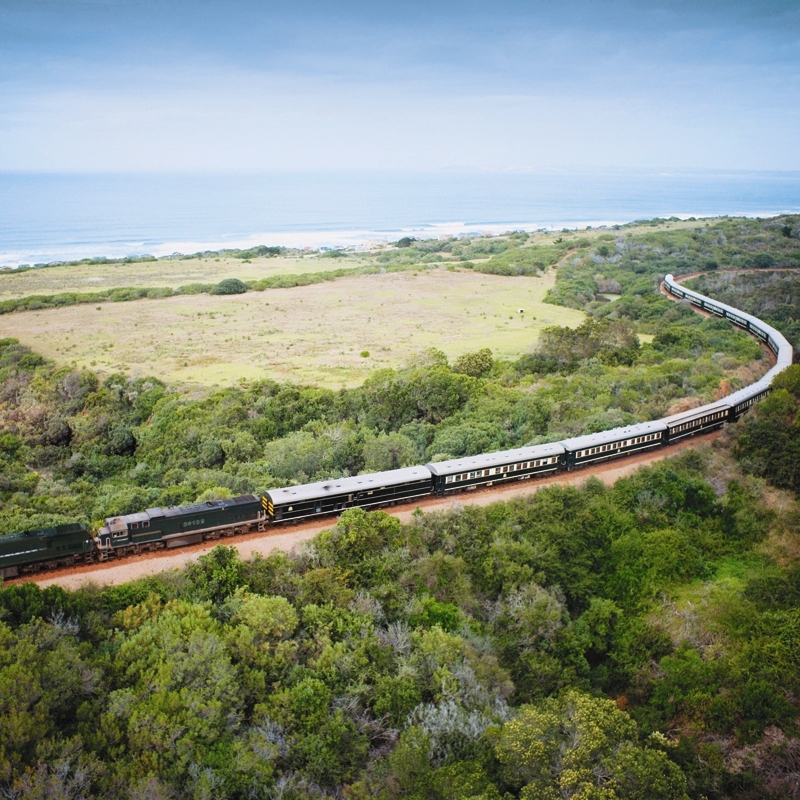 - Outside of South Africa – Any off-train expenses or additional excursions booked while on the train are to be paid with US Dollars. Hotels and major dealers accept credit cards. - US Dollars printed before year 2001 won’t be accepted. Low denominations recommended for shopping/gratuities. Larger denominations recommended for exchanging money to local currency (especially in Tanzania) as you get a better rate. 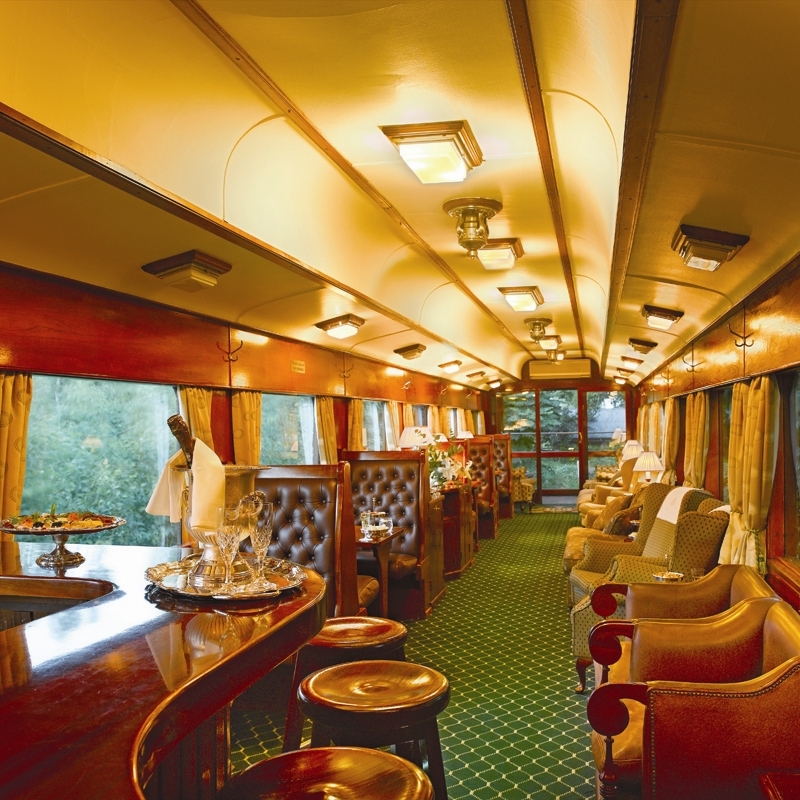 The Gift Shop on board might exchange money if currency is available, but it is not normally catered for. 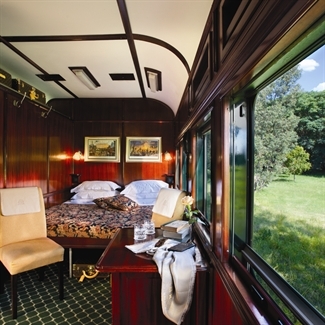 person per night is suggested, depending on the length of your journey. 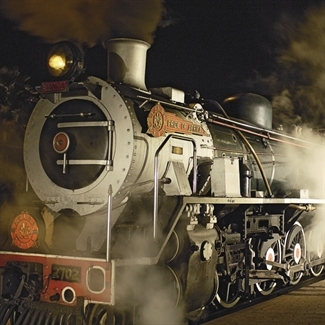 Use of steam has become increasingly difficult over the years as more and more water and coaling facilities have been scrapped. 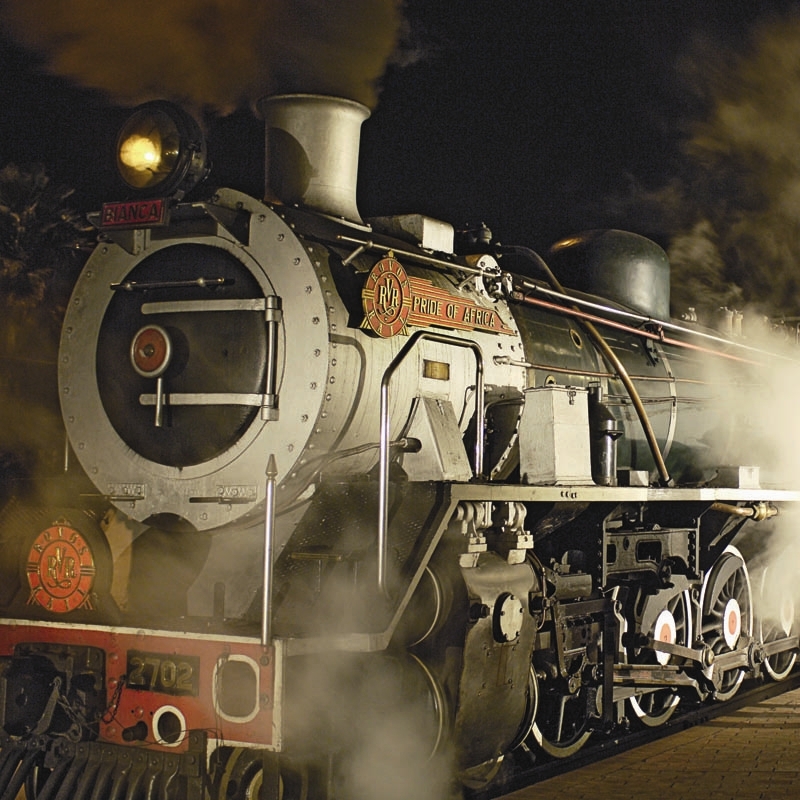 Diesel or electric locomotives are used while steam is used in and around the area of Rovos Rail Station only. 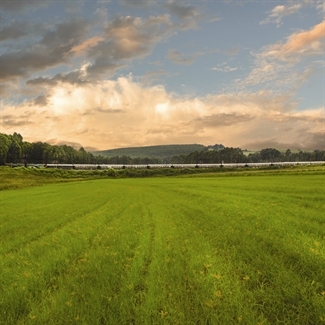 The track over which we travel is inconsistently maintained. 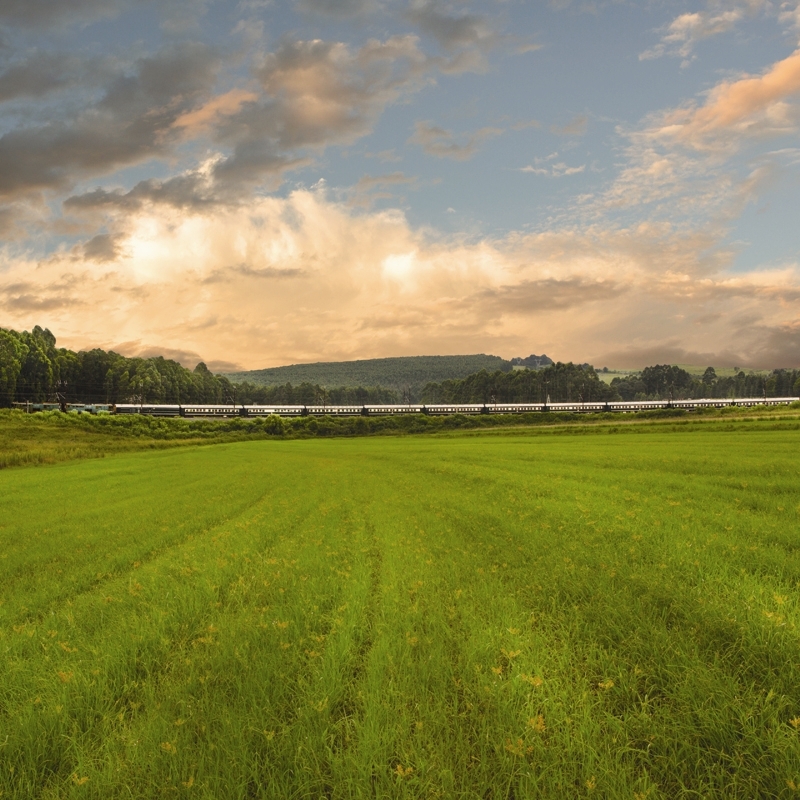 If you wake at night imagining the train is travelling at high speed, be assured it is the state of the track below creating that impression. 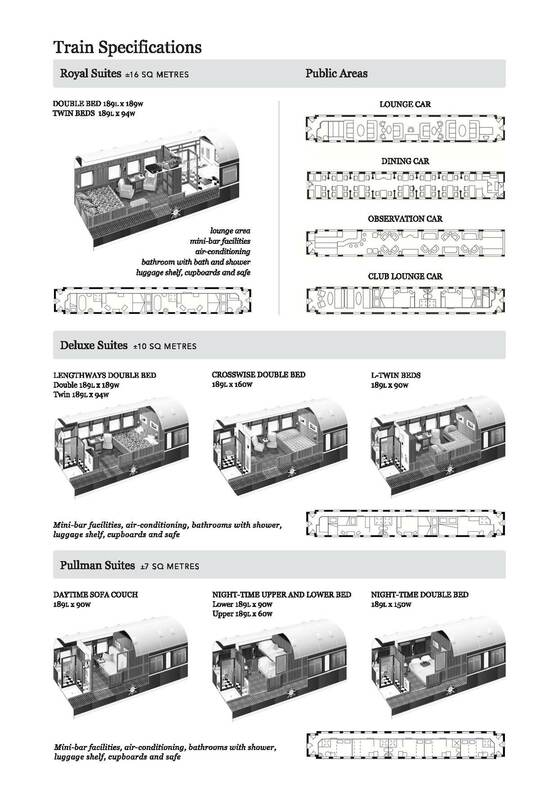 We restrict the train to 60km/h (37mph) and over bad sections reduce speed to as little as 20km/h (12mph). If you find it noisy, earplugs are available. Meals are served in one sitting only in the charming Victorian atmosphere of the dining cars and are complemented by a selection of fine South African wines. 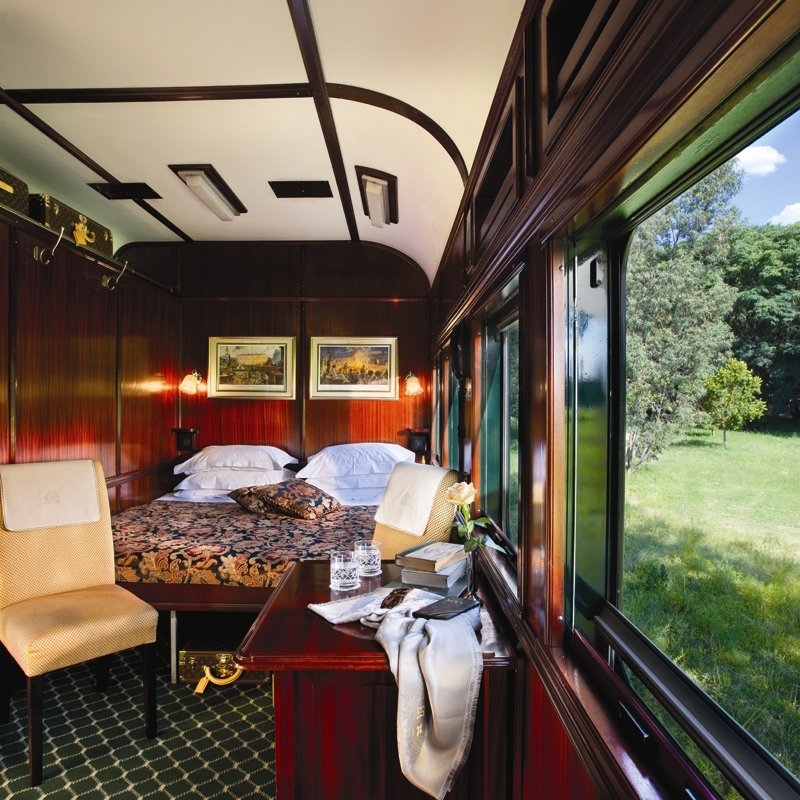 Breakfast: 07h00-10h00 • Lunch: 13h00 • Tea: 16h30 • Formal Dinner: 19h30. All meals are served at these times unless otherwise stated in the timetable. A gong heralds lunch and dinner. We will do our best to cater for dietary requirements provided a detailed request has been made on the Reservation Form. If a special request has not been made, the chefs will endeavour to prepare suitable meals with the ingredients available on board. We regret we are unable to prepare meals requiring strict religious observance in the preparation. For days on the train dress is smart casual. Evening attire is more formal – for gentlemen a jacket and tie is aminimum requirement while for ladies we suggest cocktail/evening dresses or suits. For off-train excursions, we strongly recommend comfortable walking shoes, sun lotion and hats. If required, blankets and rain capes are available. For game drives, which are on open vehicles, please dress accordingly: mornings can be cool then warm up considerably; afternoons can be warm then cool down considerably. Please see average temperatures as a guide. ensure the correct settings for network services are activated. Internet is available at our lounge in Cape Town, Rovos Rail Station, Tau Game Lodge, Victoria Falls Hotel, Mokuti Lodge and most of the other Namibia Safari accommodation. 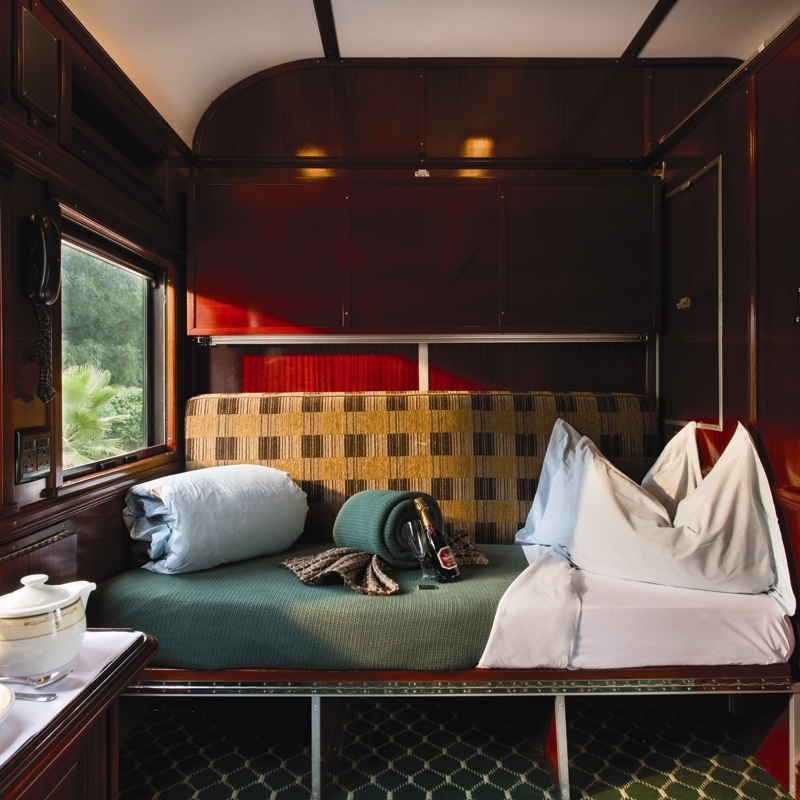 Each suite has a luggage rack that runs its length providing ample space for storage. On selected annual journeys, guests are provided with a Rovos Rail tog bag that can be used for overnight trips or hand luggage on aircraft. Please note on the Reservation Form if you are celebrating a special occasion as we would like to share it with you. 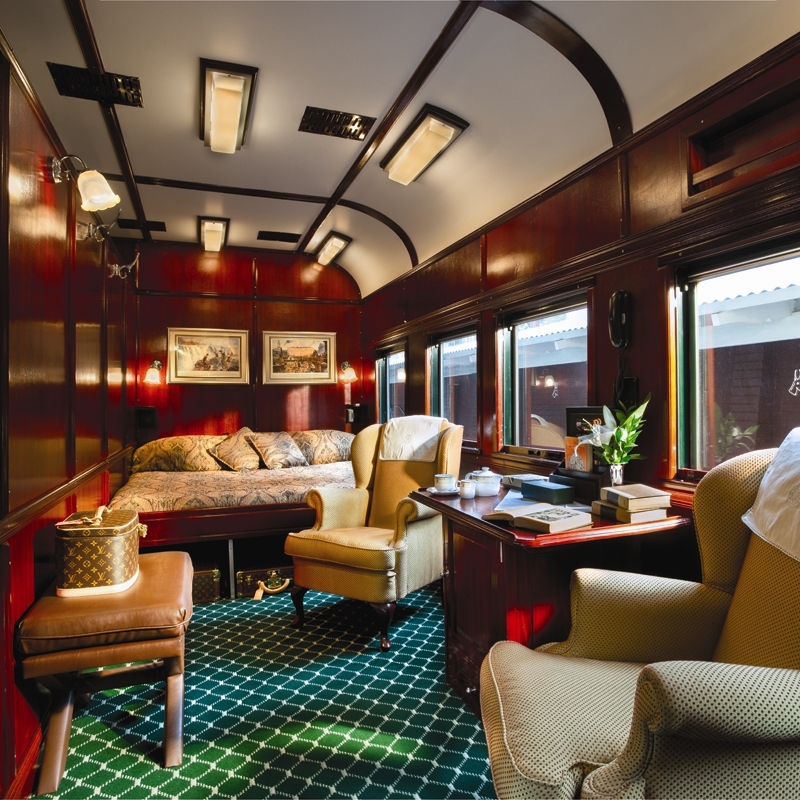 There are board games, playing cards, a card table (dependent), books and magazines available for your use in the Lounge and Observation Cars. 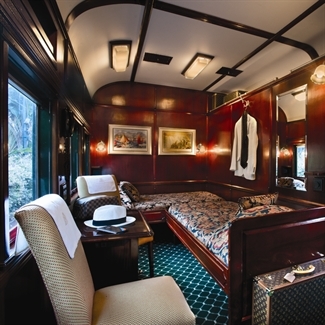 In your suite is a Journeys magazine featuring articles of interest related to your route. There is an internal telephone system on board. Numbers are listed on the provided Guest/Rooming List. All public cars are fitted with gas-filled air-conditioning systems. Each suite has an individual air-conditioner with temperature controls that can also be set to heat mode. Fresh-air intake is solved by opening a window. Windows should be closed while operating the air-conditioning unit. Electric under-blankets are fitted on the bed.